And finally, now, its price. Sent in by a reader to Engadget, Best Buy has dummy units and prices out on display. 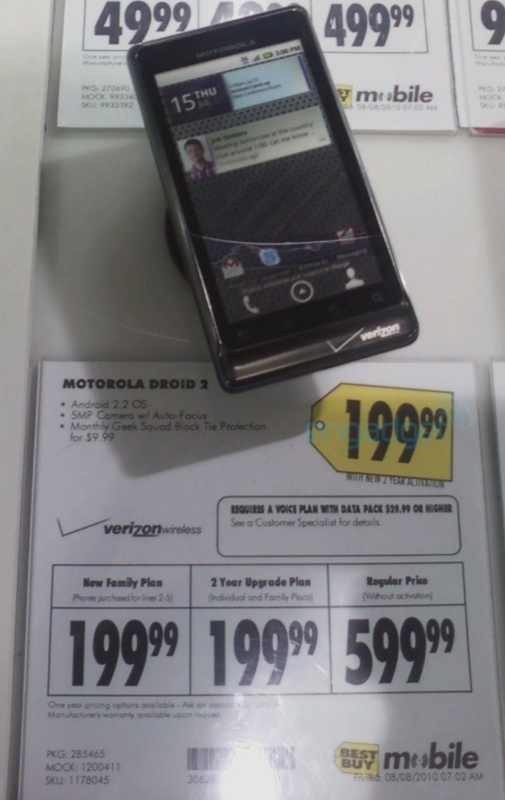 Right in there with the DROID X and iPhone 4, the DROID 2 will be $199.99 on a two year Verizon contract. 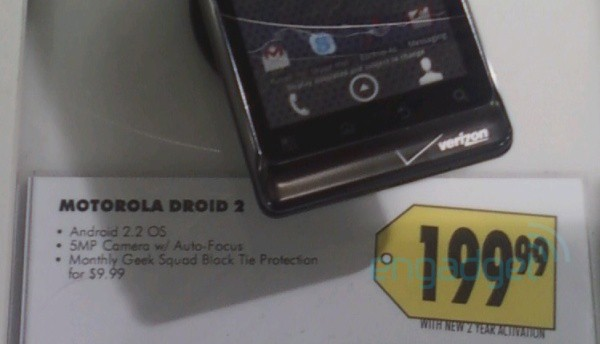 The full retail price is an entirely unsurprising $599.99, but since you can’t really use VZW phones anywhere else in the world (yet), that price point won't affect you, unless you want to upgrade mid-contract. For those of you itching to get your mitts on the next-gen hardware keyboard, the wait is nearly over. Let’s just see what manages to leak out between now and then, eh? HTC Desire HD Caught On Video, Looks Even Sexier Than The EVO?